BENCH is a UK brand that was conceived in 1989 as a cool underground label known for strong graphic-based printed tees and sweats. 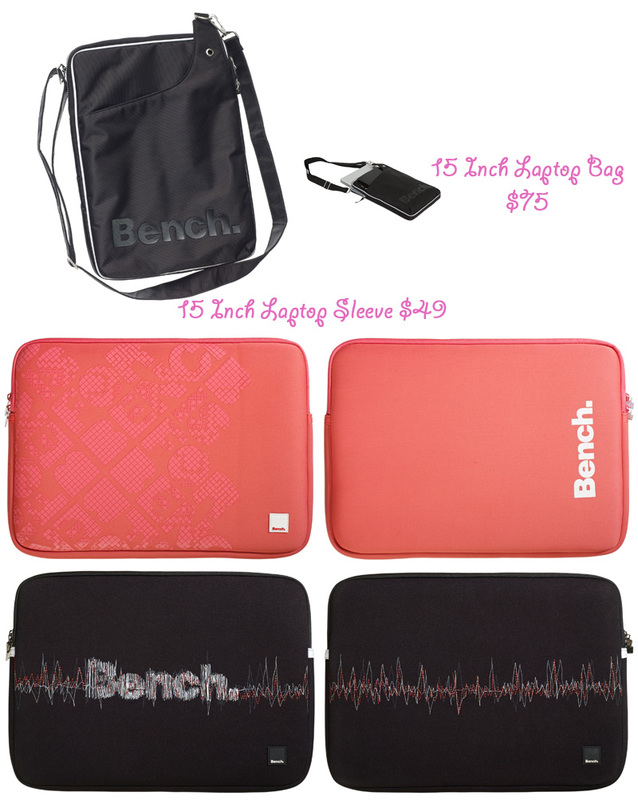 You can purchase their products online at www.bench.ca and in stores across Canada. Last Thursday right after my last exam in my post grad program with almost only 2 hours of sleep, I missioned out with Emily to attend a Bench Preview event for their newly launched accessories!ps, Thanks Emily for the event photos, I didn't have enough time to charge my cameras with the crazy exam schedule :( thanks love! 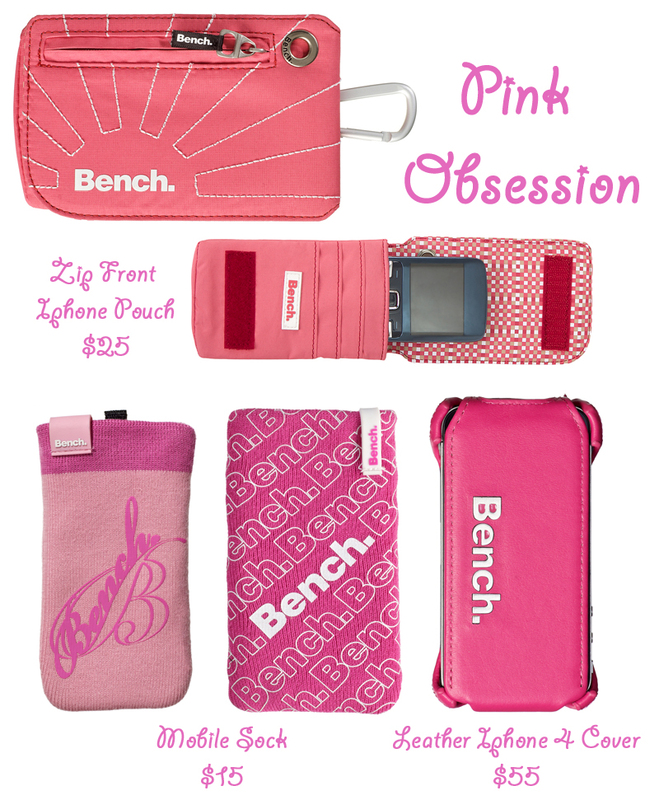 I love how there are different shades of pink =) I find the Zip Front Iphone Pouch is for the utility kinda girl because you can use it in so many different ways. The leather case is soooo chic ... like !@#!@#! ps, check out the USB bracelet, I freaking love it. They should seriously just make this as one of their products :) I won't lost my usb again! WIN A PINK MOBILE SOCK!! I'm really happy they provided me with the Mobile Sock in PINKKKKKKK!! It's super amazing because it features Polyester knit with soft sueded interior for cleaning! I find this so important because I always leave some of my makeup on my phone and then it gets so dirty. With this, I can wipe off all that yucky stuff and any finger prints! I know I've been doing a lot of event posts so I wanted to share the above this time!